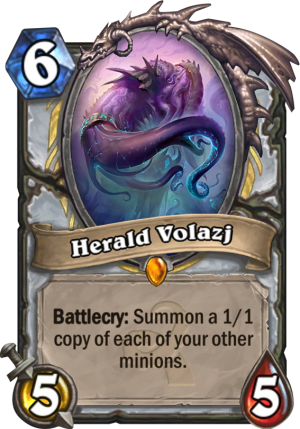 Herald Volazj is a 6 Mana Cost Legendary Priest Minion card from the Whispers of the Old Gods set! Battlecry: Summon a 1/1 copy of each of your other minions. His whole job is yelling "Yogg-Saron comin'!" We will miss you …. pretty good with brann dragon priest. Don’t think it’s nearly as good in control priest. If somehow you play it with brann thorisan (unlikely) it’s gg. To be fair, I am the last person to be a fan of this legendary. But seriously guys, am I the only one seeing Blood of the Ancient One synergy? I really like this legendary and I think people fail to properly judge this card. You have to look at the best case, and normal case scenarios. Best case is playing this when a crazy legendary is still alive on your board. This will usually be instantly game winning. Any card which instantly wins the game let’s say 2/10 matches is really good already. He gets even better when you think of the more common case scenario, all you need is a single card which will draw you a card on the board. Just having a loot hoarder, or acolyte of pain makes him a 6 mana, 6/6 draw a card. That’s still pretty amazing and you can very easily pull this off at least the games where you can’t get him on a legendary. In the right deck, this guy will be at LEAST a 6/6 draw a card for 6 mana, wheras at best he’ll instantly win you the game. Very strong card. I think this could be insane, with most of the deathrattle minions being rotated out, museum curator has a good chance of giving you a bigger more powerful one such as cairn/syllvanas, both of which your opponent will ignore if they don’t have an entomb/recycle/polymorph/hex type card. Museum curator is a crazy way to ensure value and most priests already run 2! It looks like they introduce a good amount of new deathrattle cards and synergies with deathrattle. So in my opinion Herald could be pretty strong! Turn 8 leper gnome, leper gnome, this. Guaranteed 8 dmg? 1-1s which probably die to AOe. Maybe not. In order to make them op, they have to have deathrattle or spell power. Let’s say Malygos or a good deathrattle card. Well if you played malygos turn 9 and he actually stayed alive you probably won already!!! 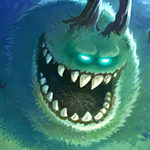 And if you think a 5-5 summon a 1-1s with deathrattle is better then hunters feign death- you are wrong too. As you can double the deathrattle effect immediately with Rivender for the same cost and get 8 states with the effects you get out of ur deathrattle. And then. Do you see legendary players playing feign death hunter? Battlecries won’t activate from this. it’s going to synergy with the new cards. Don’t keep all you’re focus on the old ones. I do understand where you are coming from but the newer cards that supports C’thun is very likely going to work. it may also be played earlier than you think because even though its a 1/1 if you have lets say a sludge, it copies the taunt and the deathrattle so it can save you. Yes i’m aware it can easily be cleared with an aoe or a ping. BUT that’s either one aoe removed from their hand or 2 mana off their play (ping). Theres a lot of potential in this card. What I don’t understand is does he put a 1/1 token or is he gonna become the 1/1? He creates 1/1 tokens of minions you have on the board. Unfortunatly thats a really low chance since the card is for priest. Synergy with Validated Doomsayer, Deathrattles, Auras, and End/Start turn effects. Could make for some fun decks, competitive or not. This is a bit like a strange Dr. Boom. 5/5 for 6 is pretty standard for strong effects, and this has the potential for some very strong effects. Even with a Harvest Golem out, it starts getting value. It is a bit win-more, but even if you have only decent creature out, it can still be pretty good. As such, with its potential to go bonkers with things like Cairns or Ysera or Sylvanas (assuming Standard is a bit slower) means it just mind find a home in many Priest decks. I like it a lot. This card will get nerfed, new text will probably read summon a 1/1 copy of a random friendly minion. I don’t think so. This would be a much worse Version of the Faceless Manipulator. More expensive and crap stats. This legendary probably won’t get nerfed. My initial thoughts were also: omg, what a cool card. But what you really want is good deathrattle minions to play this along the curve, which almost all are leaving standard. If any of the named cards stays for longer then a round on board, it is mostly “GG” anyway. In this sense this might be a “win more” card. Hard to say, I think this card is amazing by design and probably balanced. “named cards” being: Ysera, Ragnaros, Thaurissan, Paletress, I might also add Velen, Malygos, etc. 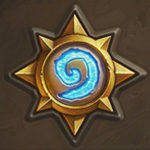 Thaurissan isn’t rotating, only Naxx and GvG. Thaurissan isn’t rotating. Black rock is staying in Standard. Just GoT and Naxx. wait; of each other minion in my hand or in my deck? Ysera, Ragnaros, Shredder, Sky Golem, Sylvans, Thaurissan, Paltress and pretty much every good deathrattle card. Guess this one could be really good. Shredder and Skygolem will not be part of standard (which i think is the mode everyone is evaluating the cards for) and the rest has the problem that they have to stick on the board to be used in combination with this card. And if one of the cards you named stays longer than one turn, your chance of winning grows drastically already. Like someone said before, its a “Win more”-Card. At this moment i would say, it will be fun to use, but not competitive.